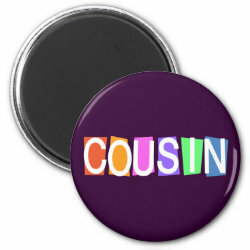 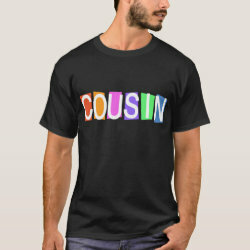 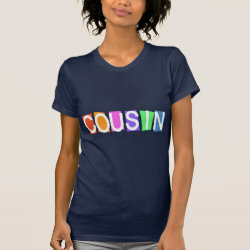 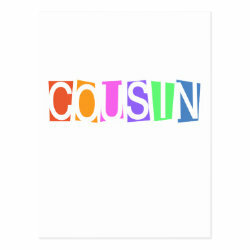 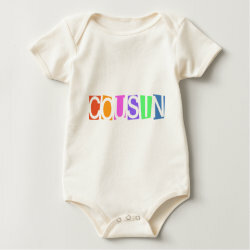 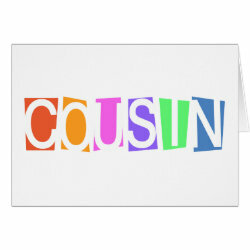 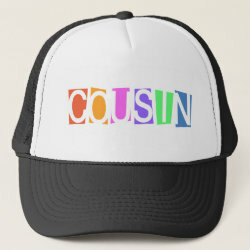 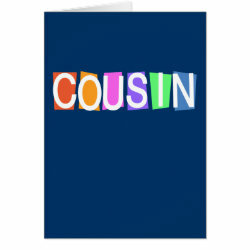 Retro-style COUSIN design with white text on colorful background squares. 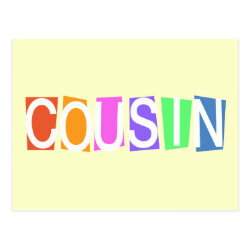 Text creates different effect on dark or light backgrounds. 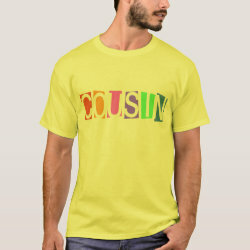 Change the style or color to make More... this your own! 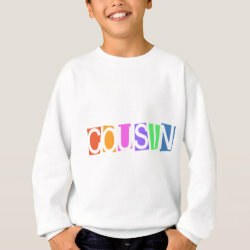 Add text to the front or back. 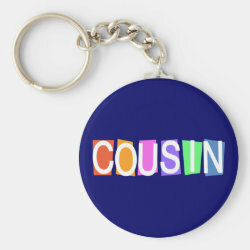 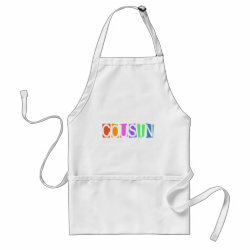 This makes a great gift idea for your cousin on her or his birthday, graduation or any other special day.